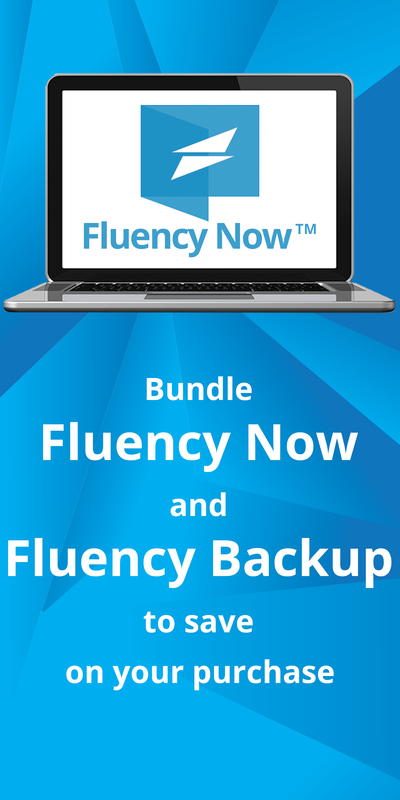 Fluency’s Alignment Tool allows you to import your old translation files turning them into beneficial translation units. 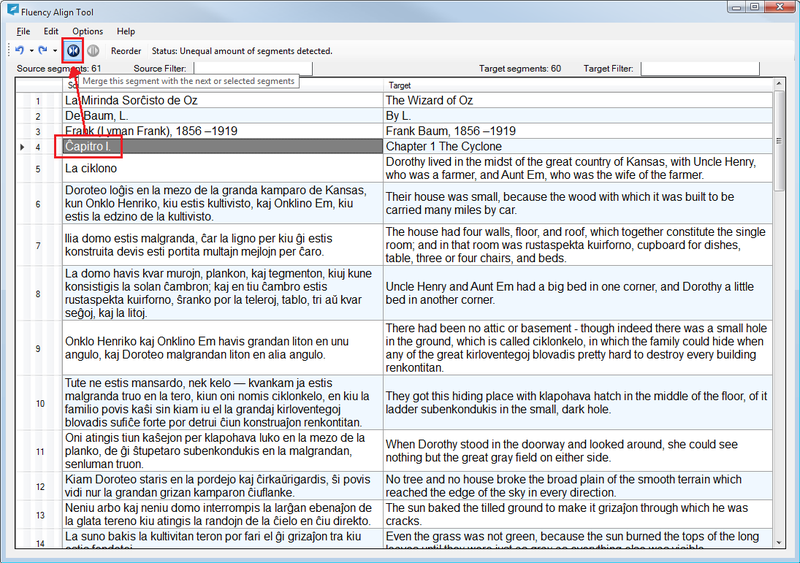 This is a great way of jump starting your Translation Memory database, regardless of what program was used during translation. 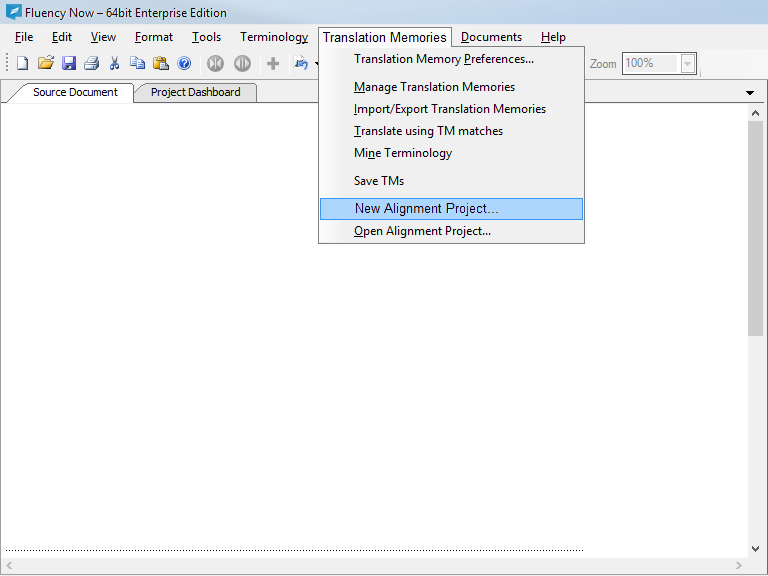 First, click on the Translation Memories menu, then click on New Alignment Project. Next, you’ll be presented with the Alignment Wizard. 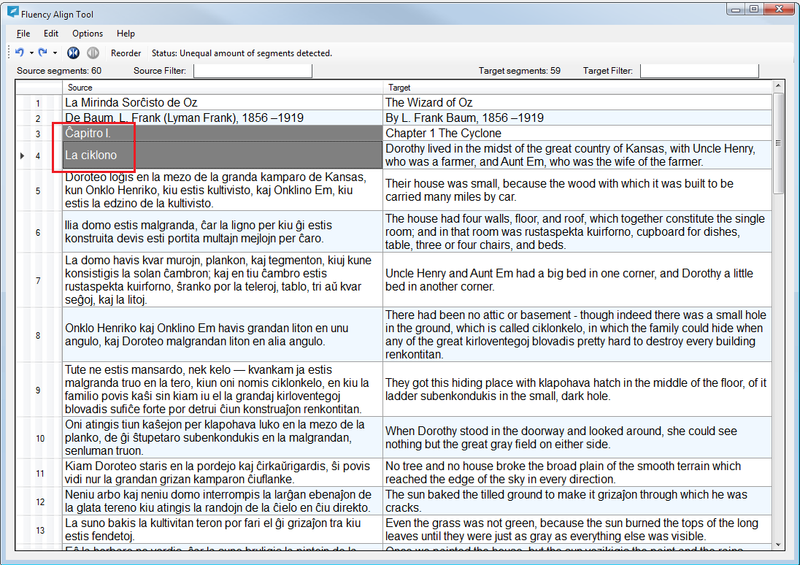 Click on the ellipsis button on the left to select your source document, then click on the ellipsis button on the right to select your translated target document. 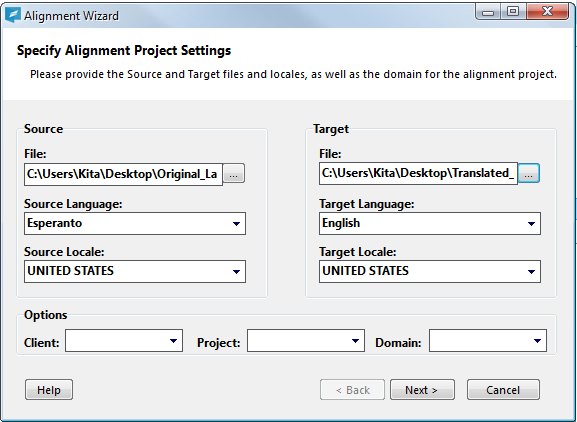 Once you’ve selected the desired files, assign the Source/Target languages and locales, as well as any client, project, or domain information, then click Next. 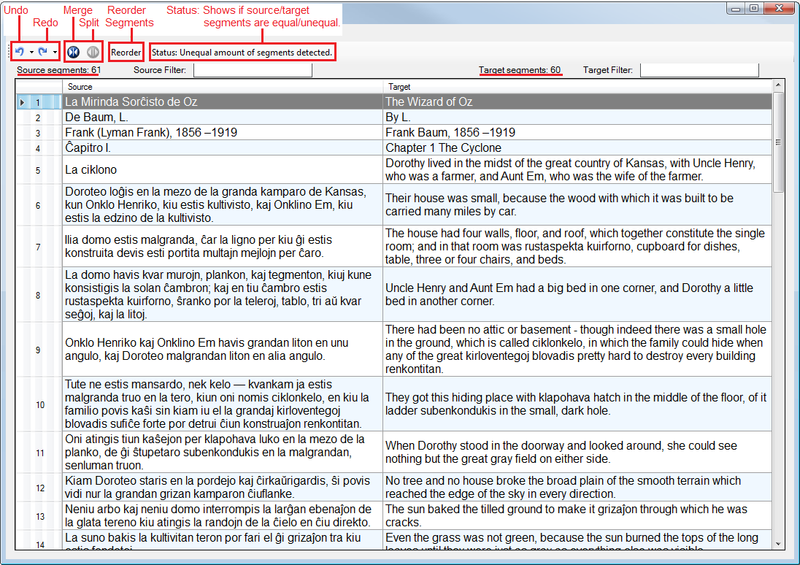 The documents will open and appear side-by-side in a cell segmented view. 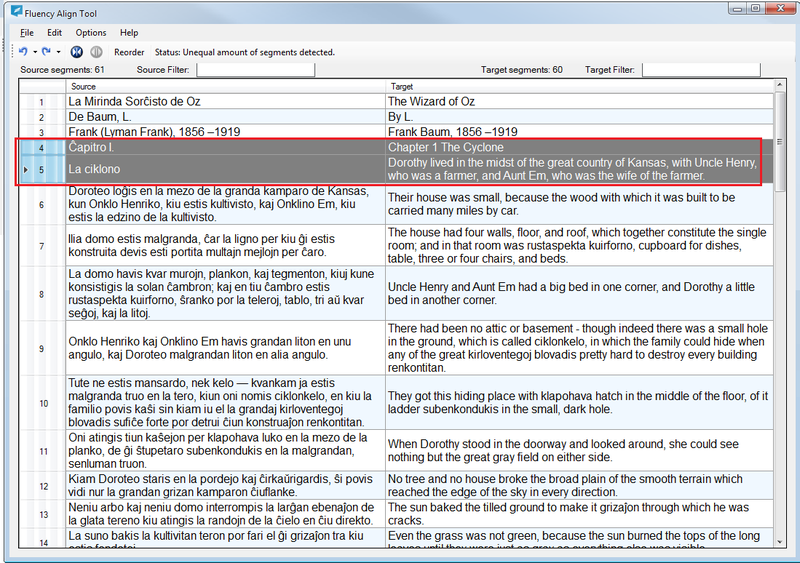 You can now scroll through and verify that each source segment lines up with its translated counterpart in the target column. Using the merge and split buttons will allow you to modify segments so that they become properly aligned. Note: You can keep an eye on the ‘Source/Target segments’ sections to verify when all segments are aligned. As you can see below, source segments 4 and 5 need to be merged so that they match segment 4 in the target column. To correct this, click on the first of the two segments that need to be merged together. 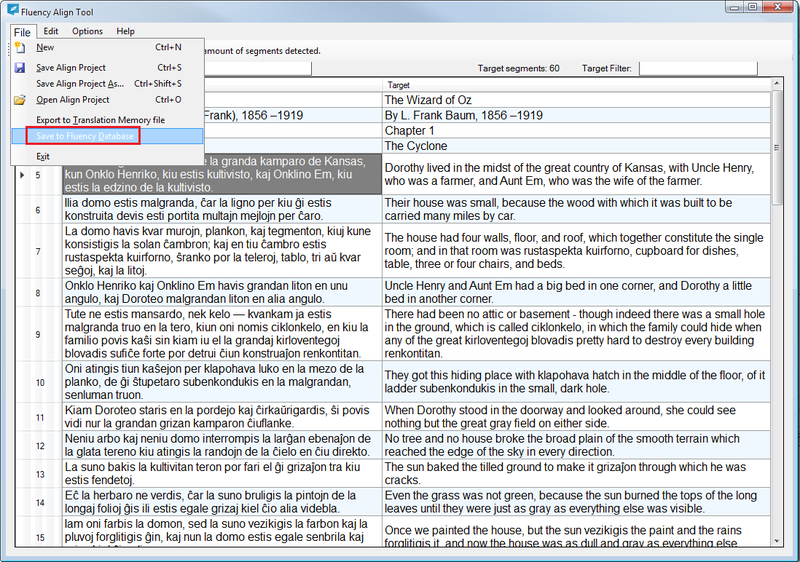 Once highlighted, click on the merge button, as indicated below. This will result in both segments being merged together, as shown. You may occasionally find multiple segments that were merged together, but shouldn’t be. To correct this, click on the segment in question, then click on it again to make it editable. Next, click to place the cursor at the location where you’d like the segment to be split, then click on the split button. Once you click the split button, the text after the cursor will be moved below the text before it, as shown. 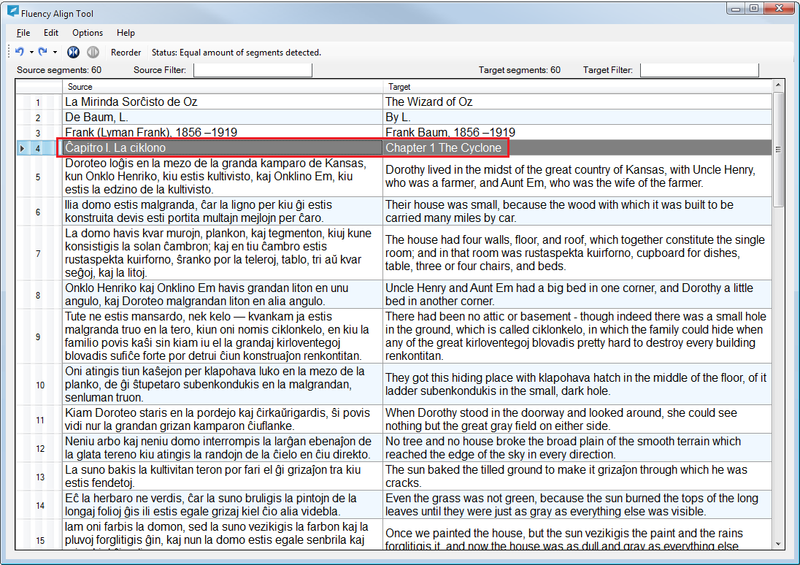 Once you’ve completed the alignment of all segments, click on File, then Save to Fluency Database. 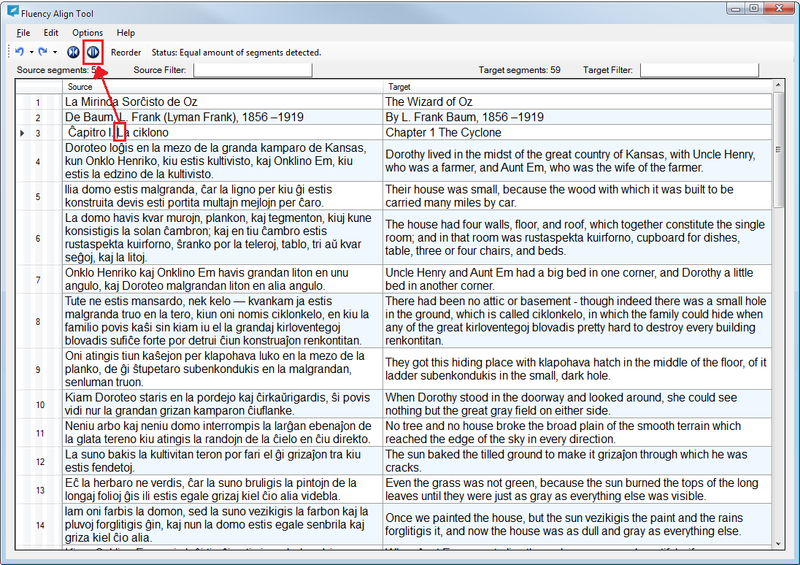 This will convert your aligned segments into translation units, saving them directly to your TM database and making them immediately available for your next translation project.